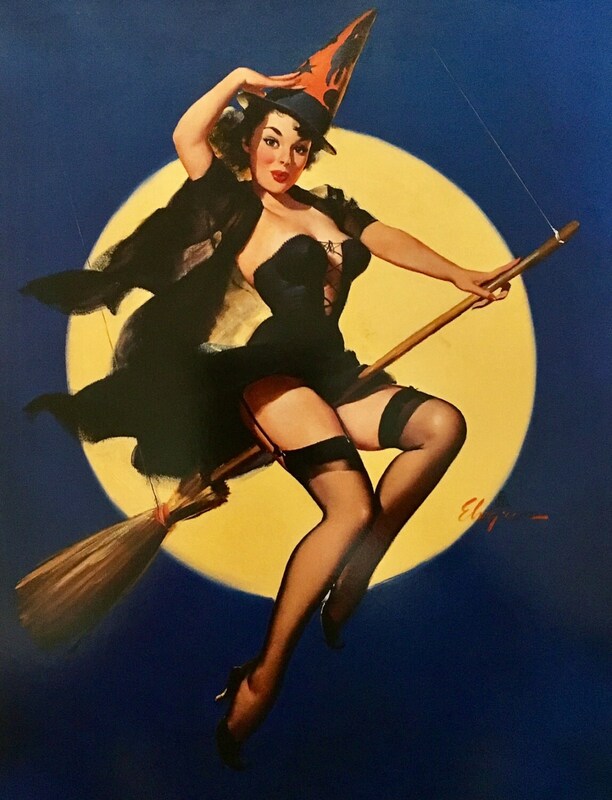 "RIDING HIGH" ~ A HOLLOWEEN WITHCH FLYS ON BROOM! A Rare Tashen Collector Portfolio litho Print. Rare (c) 2009 one time issue, from an original painting made circa 195-57. Hurry we have only 1 left in this estate collection!